Check out this PETCENTRIC holiday cake from Allentown, PA. Pat on the Back to Desiree's sister for creating this beautiful holiday cake. Looks delicious! 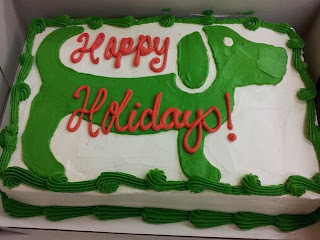 Happy Holidays to you and your family (including your little furry ones)!